Every Mid-Autumn Festival, the Chinese market gets flooded with mooncakes, a kind of baked pastry that symbolizes family reunions and which is traditionally consumed as part of the celebrations. Ahead of the festival, which falls on Monday, a number of Chinese F&B companies branched out their offerings to include the round delicacy, as the mooncake market grows in the country. 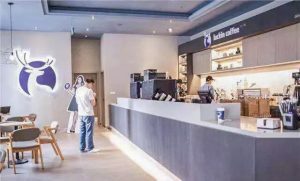 A piece of the pie Hot pot brand Chen JiSunhe is joining the race to the hearts and wallets of Chinese consumers during the festive season, having announced recently it will sell mooncakes for the very first time. A number of tea brands have also launched their own savory and sweet concoctions, amid rising demand. Are China’s ‘young, fresh meat’ men too feminine? There’s an ongoing debate about masculinity and femininity across the world, and China is taking part as well. Many young Chinese women have become fans of “young fresh meat” – feminine-looking men. A Xinhua opinion piece criticized the popularity of overly feminine men – but many Chinese internet users disagreed. But what can brands learn about this phenomenon for their Digital Marketing Campaigns in China? Read the full Inkstone article here. 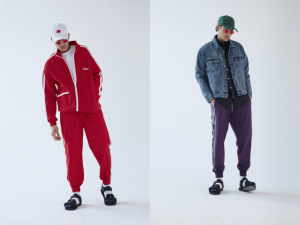 Little Red Book, the explosively popular social e-commerce platform, is seeing new growth opportunities in the male luxury market after launching a section exclusively featuring male styles. In this article, Jing Daily lists some different types of male influencers and how luxury brands can communicate through them. Codiva chocolate, KLG Fried Chicken, Srutbucsk Coffee, New Bylenera sneakers. 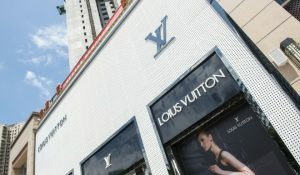 China is still coping with many stories of fake products and even complete fake stores. The brick-and-mortar stores are easier to spot and close down, but the internet is the perfect hideout. Unsurprisingly Europol estimates that 86% of fakes still originate in China. This fun article gives more interesting stats accompanied by interesting stories by the author. 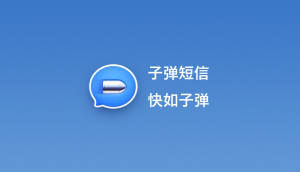 Exciting news this week in China’s online world about a new messaging app called Bullet Messaging (子弹短信). In only 9 days since its launch it reached 4 million active users. The app surpassed both WeChat and the popular live streaming app Douyin (Tik Tok) becoming the most downloaded social iOS app in the Chinese App Store. Is there any chance that this app becomes the next WeChat？Probably not, but it is worth keeping an eye on it. Two home-grown coffee startups are operating as fast as they can against the giant and dominate Startbucks. “New retail” is often used to describe Luckin, where customers order and pay on their app, for both delivery and pick up. Coffee Box wins major creative points for their marketing via WeChat mini-program, gaining 200k followers without any external promotion. 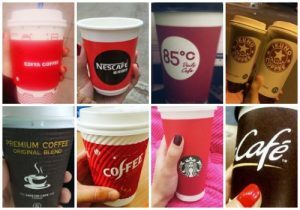 These companies are forcing Startbucks to take action. The first attempt is a test in delivery service with Alibaba’s ’s Ele.me, to embrace the lifestyle ritual of on-demand services in China. Chinese people are more willing to invest in healthy living nowadays. One clear sign is the number of gym memberships that has increased dramatically. A result of this trend is that sportswear is taking over the apparel industry in China. Even though Nike and Adidas continue to dominate the industry, there is room for smaller players now. This article analyzes some of the key trends powering the industry, and discusses how niche brands such as Particle Fever are positioning themselves. One clear takeaway is that a strong Chinese digital marketing strategy is a key reason these niche brands become successful. Every Mid-Autumn Festival, the Chinese market gets flooded with mooncakes, a kind of baked pastry that symbolizes family reunions and which is traditionally consumed as part of the celebrations. 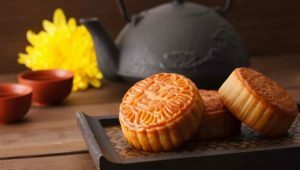 Ahead of the festival, which falls on Monday, a number of Chinese F&B companies branched out their offerings to include the round delicacy, as the mooncake market grows in the country. A piece of the pie Hot pot brand Chen JiSunhe is joining the race to the hearts and wallets of Chinese consumers during the festive season, having announced recently it will sell mooncakes for the very first time.